@jdjohn you selling any of these classic pieces? The dp1200 is a very simple manual arm with only auto lift, no return or any servo features. Basically a manual TT but it does have auto lift at end of record. "The dp1200 is a very simple manual arm with only auto lift, no return or any servo features. Basically a manual TT but it does have auto lift at end of record." Auto lift at end of record us a nice feature. Its no fun waking up the next day and realizing your stylus was spinning around in the same groove all night. I have a AT OC9/II that I plan to put on the Denon. You like the AT on your Denon ?? Oh **** yes! Really stands out, excellent detail,clear separation between instruments and imaging. The impact of each note is remarkable. 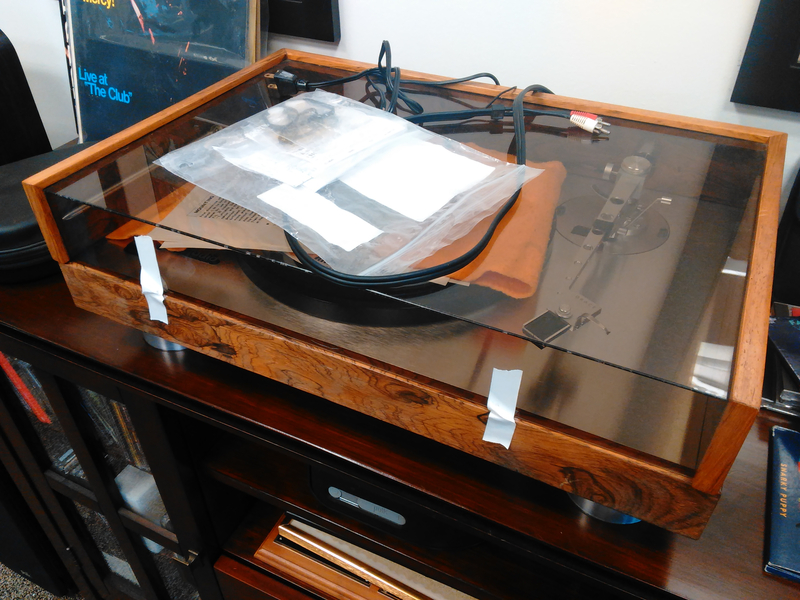 Mind you I use a good phono pre (Lehman black cube SE) and audioquest cable) but very very pleased with it! On one of my musical therapy sessions years ago on that blue couch, I was playing the Carpenters Greatest hits or Christmas album and I fell asleep. My Technics SL1400MK2 has a inherent problem where all of the return mechanisms broke on every one ever made. So for about an hour or 2, it spun around like you said. The one and only time. So from then on, Cd's were the go to physical median when I was really tired. I once had a friend tell me that he passed out with his system at full volume and a CD player that had skipped for about 6 or 7 hours before he got up to do anything about it. I bet his speaker were well broken in after that ordeal. 10 years of use in 6 or 7 hrs. Wonder they didn't burn up. Then, as now, s-e-x sells. And she knows why she is in the picture too. Only people like me smiles like that when we turn a dial and hear something amazing ! You don't need a pretty model to make this receiver attractive. 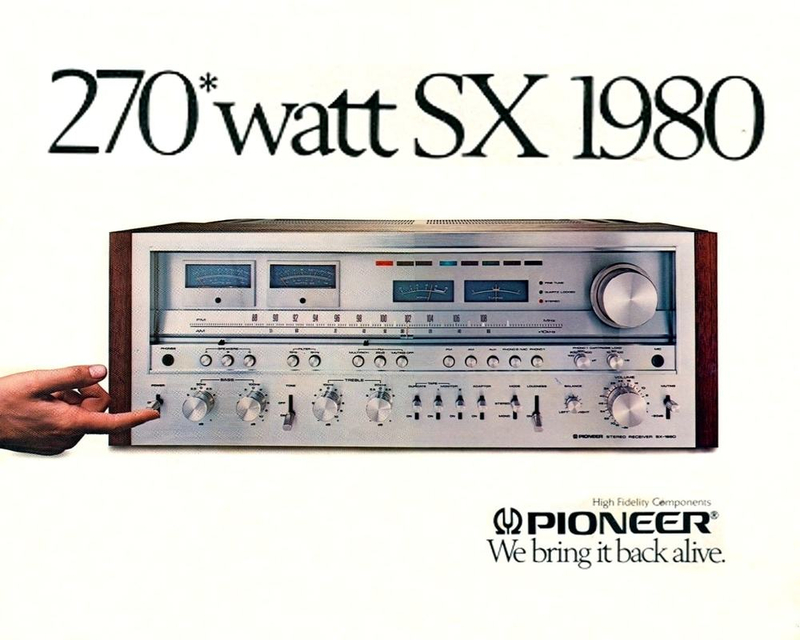 I had a SX-1280 and sold it for 180.00.. What a fool I was back then. 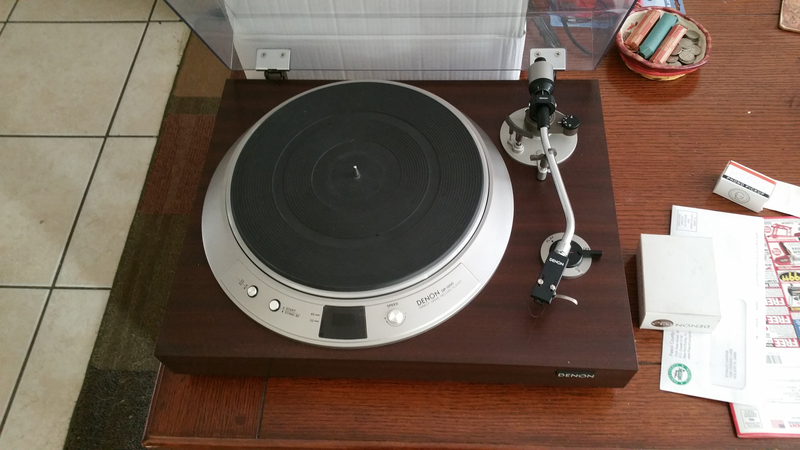 I had a SX-1050 and sold it for 50.00.. It turned on but no sound. It probably needed fuses or something. Both were filthy dirty when I bought them, but they cleaned up to like new beauty. Now that I'm getting some disposable income every month now, I've thought about purchasing a 1280 at retail now. I doubt I will but who knows . From what I see, I'm not the only one. 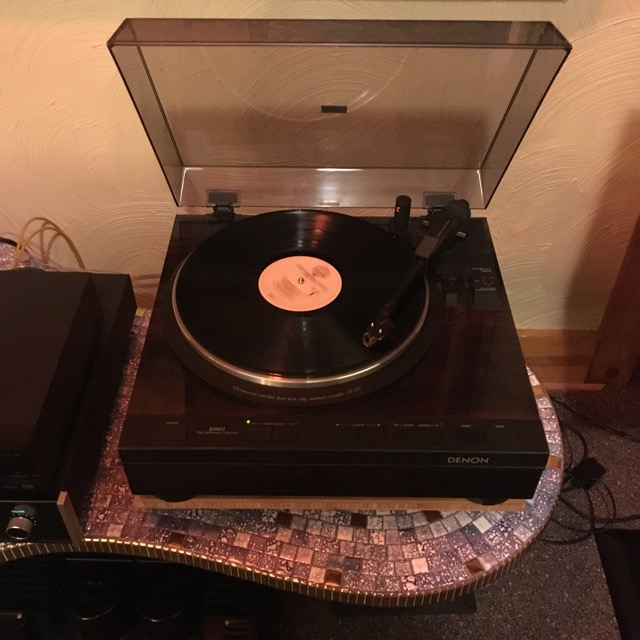 ahem -- this thread needs... some vintage hifi. I don't think I have anything new (so to speak) to add, though... do I? I recognize the arm, but it's not one I really know. Yes, I remember that pic (and the black headphone cord) when we spoke about HK decks last week. Still, it's good to see it again. I love that styling ! I bought a receiver or maybe it was just an Integrated from that series years ago.....Guess where....yea, a church bazaar. It too was under a table, hidden from the people that showed up before me. I think it was 4.00. It played fine and was quite solid and heavy. I liked those little square push buttons. I shipped it to a HK collector "of that HK series" in Seattle I believe. Looks nice but I could never own one. I would constantly be fiddling with all of those buttons and never get a chance to relax and enjoy the music. I would constantly be fiddling with all of those buttons. Some of them love that. 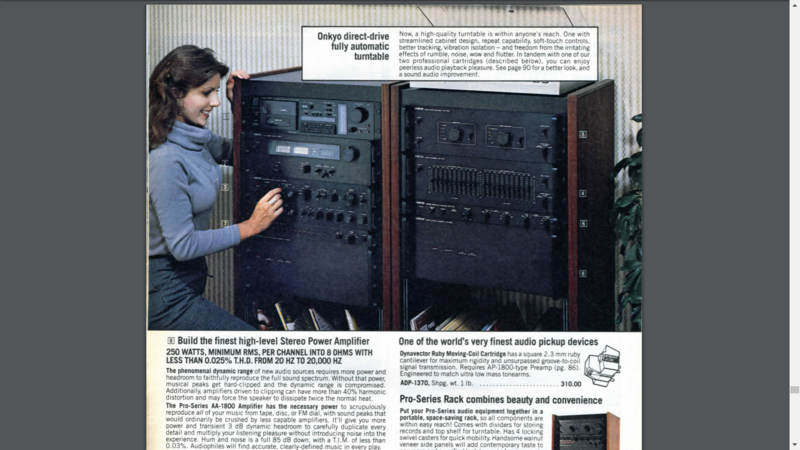 The SX-1980 is sort of the apatosaurus of 1970s hifi. The genre had kinda jumped the shark by then. Who knew so many metaphors could be mangled in two short sentences!? The hk deck -- yeah, I dug up that photo from the ahh-chives (as they'd say in pahts of Bahsten) due to that conversation... and forgot. derp. Stereo -- the hard way. I see a vintage variac off to the right. Combine that with a 100-watt Marshall head and set it at 90 volts and voila, you get the Van Halen "brown sound".